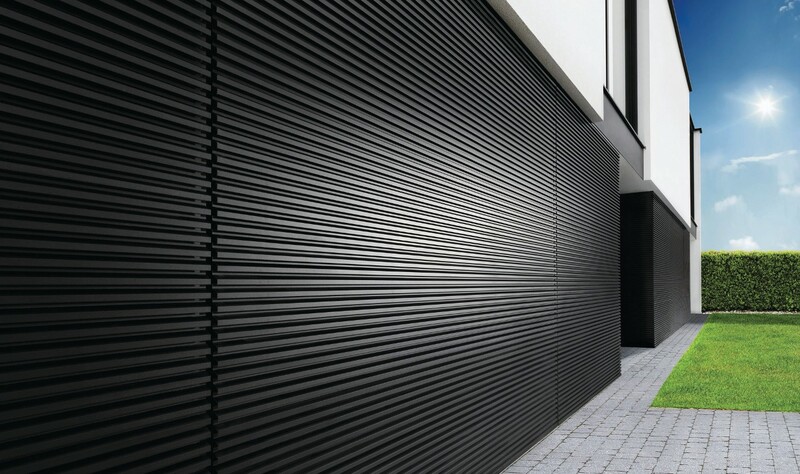 Our L-Door Puma Line STL is designed for demanding architectural solutions where a distinctive and razor sharp look is required. 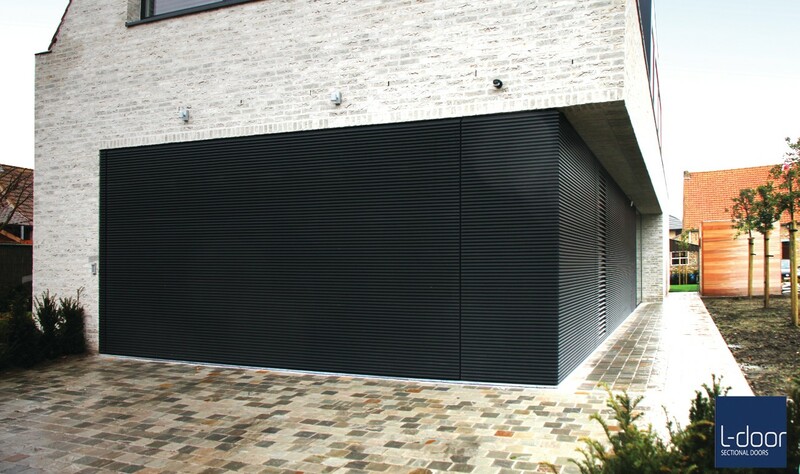 L-Door Puma Line STL is a striking, very much contemporary, sectional door made with Renson aluminium blades. This is a state of the art sectional door. 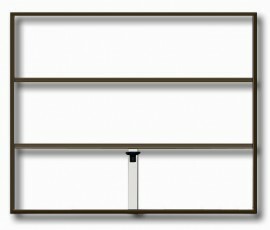 Fully insulated sectional panels are clad with the Renson blades creating a door that performs as well as it looks. 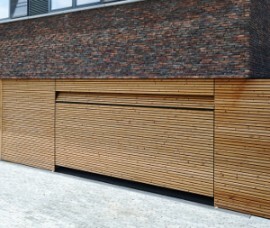 Unlike most garage doors Puma Line STL is not just a garage door but a complete cladding system. 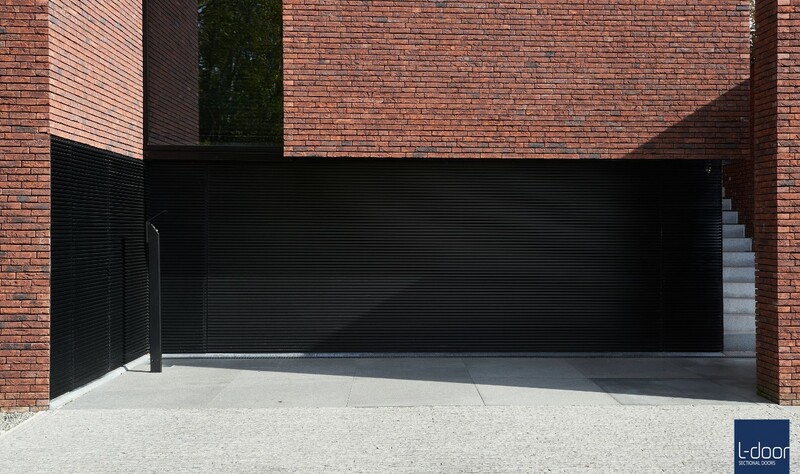 We will work with you to create a facade where the sectional door can blend in so well that when closed it is almost invisible. The blades on the cladding and the blades on the sectional door will sit both inline and flush. This will you give an almost seamless look. The blades can be clad over windows and entrance doors for a super sleek exterior. The STL sectional door and facade system can be powder coated in a range of different colours from the RAL range of colours. 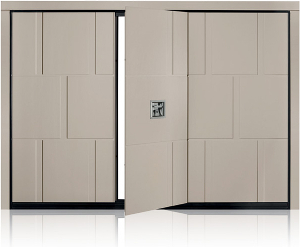 L-Door Puma Line STL is not available with external handles so your door will be automated. The L-Door 3 series motors are powerful and quiet to give the door an extremly smooth operation. They are packed with features such as high speed opening and closing, low energy consumption when on standby and optional battery backup. Different methods of operation are available such as remote control, keypad entry and transponder entry. If you’ you’d like to know more about L-Door sectional doors and facade systems speak to one of our team today. We can work closely with your architects to ensure that you get the perfect solution. 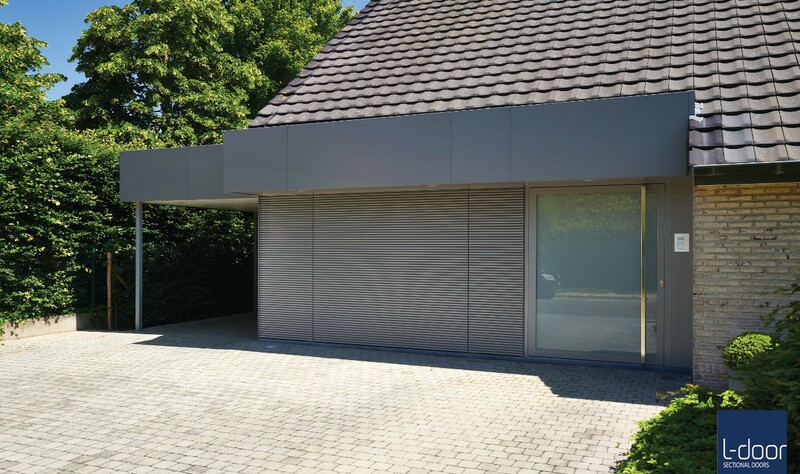 You can have a totally unique garage door and facia system on your property. We very much welcome the opportunity to work with you on the L-Door Puma Line STL. L-door meets all the prevailing warranty provisions. The statutory warranty comes into effect as soon as the product has been delivered / fitted. You can invoke the statutory warranty if a non-conformity has been established within 2 years of the product having been delivered. If the finding is made more than 6 months after delivery, the buyer must be able to prove that the non-conformities invoked did already exist at the time of delivery. Once the non-conformity has been established, the buyer must notify the L-door after-sales department as soon as possible. A 2-year warranty on the entire door, including motor and working hours, provided you conclude a maintenance agreement for no less than 1 year at the time you purchase your door. A 10-year warranty on the materials (excl. motor, the driving mechanism and working hours) provided you conclude a maintenance agreement for the full period of time. A 5-year (degressive) warranty on the lacquer (a 2-year extended warranty if your door has been coated with an extra coat of ‘Tigerfinish’). The wooden doors in our Nature Line range come with a 5-year (degressive) warranty on the lacquer if they have been coated in a RAL colour and with a 1-year warranty if a colourless protective coat was opted for. In the latter case, it will be up to you, as customer, to apply a new protective coat every year. No warranty shall be extended on the lasting proper functioning of doors that are supplied untreated.